Uniforms in some way always are very appealing. 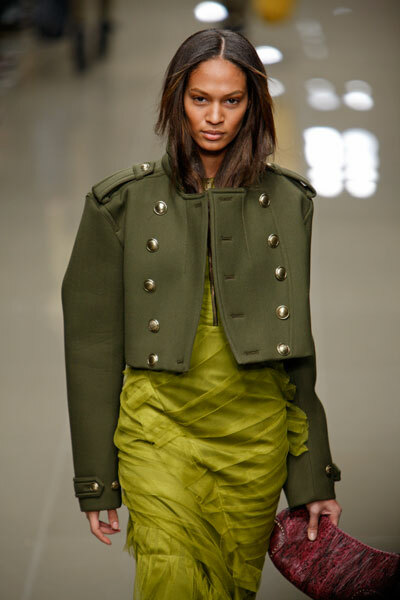 So it’s no surprise the army trend is very popular in fashion. 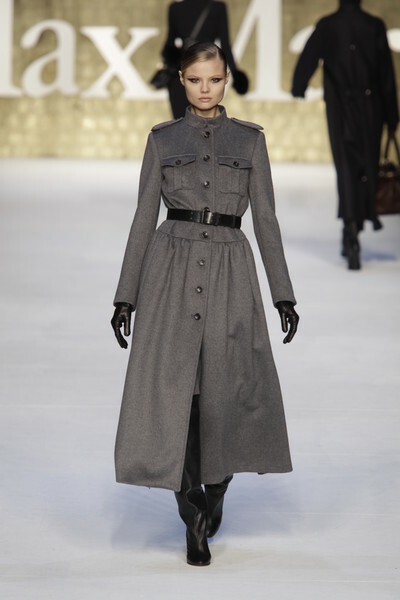 We already saw the army style last season and for winter 2010 many clothes still have an army influence. 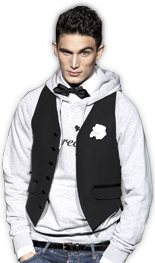 The army details are mostly translated to army coats and jackets. 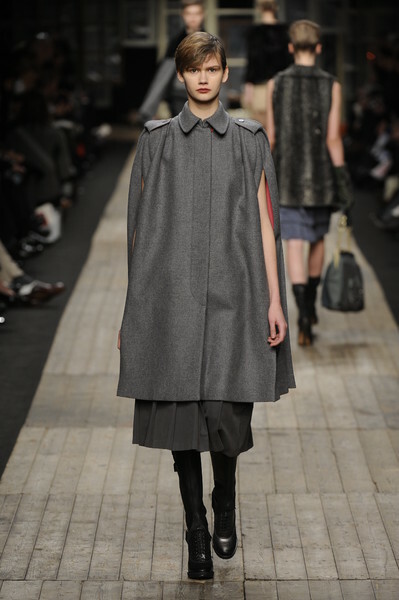 Those are often long, camouflage-colored and have details like epaulettes and fringes on the shoulders. 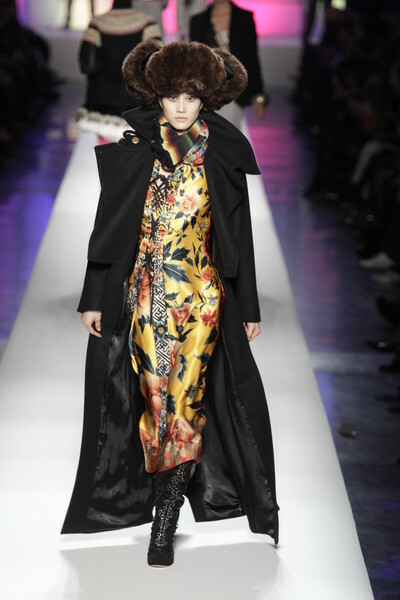 The Max Mara show was full of those coats. They were floor-sweeping long and immediately gave the models a certain status. They looked confident, as if they could rule the world. 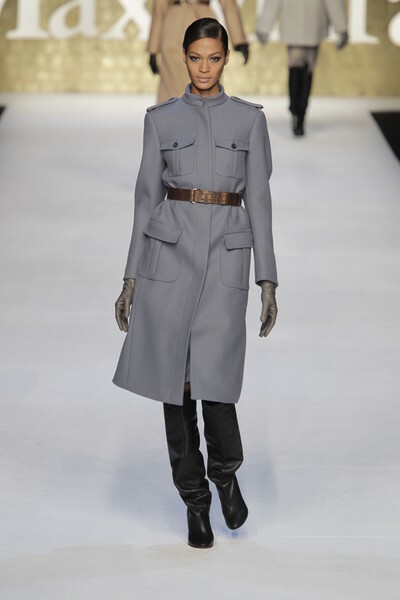 Jean Paul Gaultier, Burberry and Balmain all had army coats in their collections too. Navy blue and army green being the two most chosen colors. 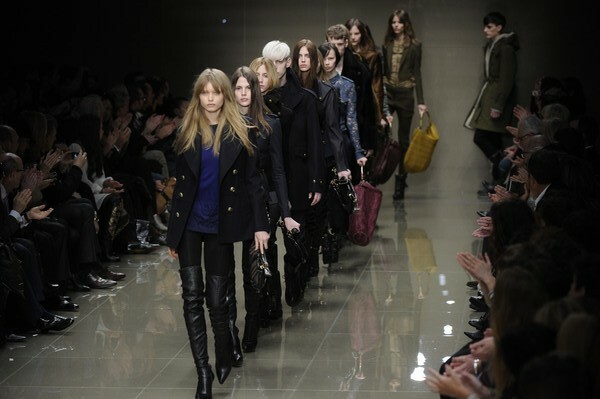 The long coats won’t be very handy when, for example, having to hop on a bike. Yet they look stylish and will keep you warm from head to toe. And…march!